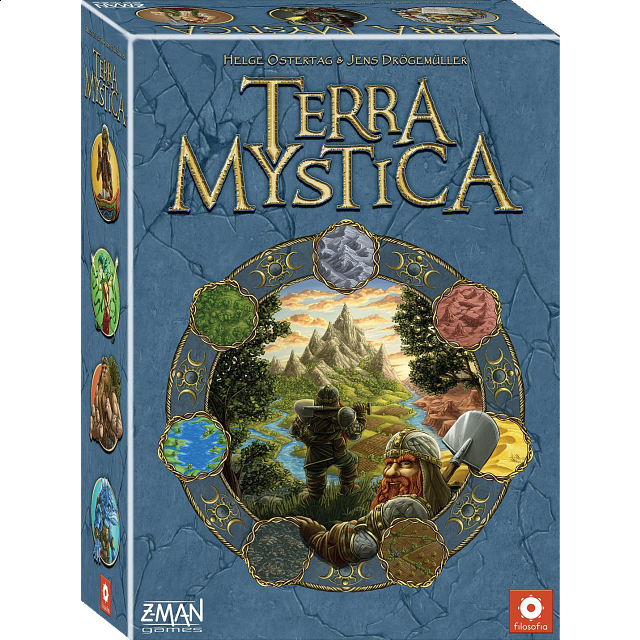 Terra Mystica is a strategy game with a simple game principle and very little luck involved: You govern one of 14 factions trying to transform the landscape on the game board in your favor in order to build your structures. On the one hand, proximity to other players limits your options for further expansion, on the other hand though, it provides some benefits during the game. This conflict is the source of Terra Mystica’s appeal. The 14 artfully designed factions, each having unique special abilities, as well as the exchangeable bonus cards allow for a large number of possible game plays that constantly keep this game entertaining!